D. 3 Primary Financing Types for Real Estate and Their Cost! G. 6 Ways to Structure Private Money! 3 Reasons to Follow Up More! How to Build New Construction Rentals - from sourcing land to building to leasing! Share This on Social Media Please! Did you enjoy this? Get value out of it? Have questions? Do you have a video about the permit and build? If so where can I find it? Great question! Unfortunately, we do not have any video training on permitting, as the laws and regulations are very different in every locality. Please reach out if you have any other questions. We are always happy to assist. Very informative videos out together in simple steps. Thanks Daniil! This cost estimating feature is a MASSIVE time saver! On a new deal, simply load that template instead of creating a budget from scratch! Report 1: Actual vs. Budget by Budget Group. Allows you to see your project broken out by cost categories. You can sort by highest/lowest or by biggest positive or negative variences to see where biggest cost over runs or savings were achieved! Report 2: Actual vs. Budget by Budget Item. This is more granular reporting that breaks each Budget Group down by items. Zero in on exactly where your cost over runs were. Was it it plumbing labor or materials? It matters. Report 3: Post-Project Summary. 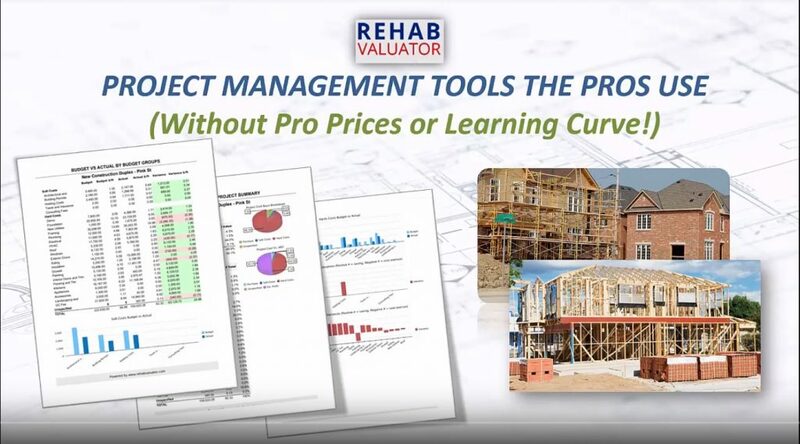 This is great for sending to your partners, lenders or other stakeholders after the project is complete! Always know whether you’re on budget, under or over! Great for end of project reporting also! The New User Interface is Incredibly Easy to Use! 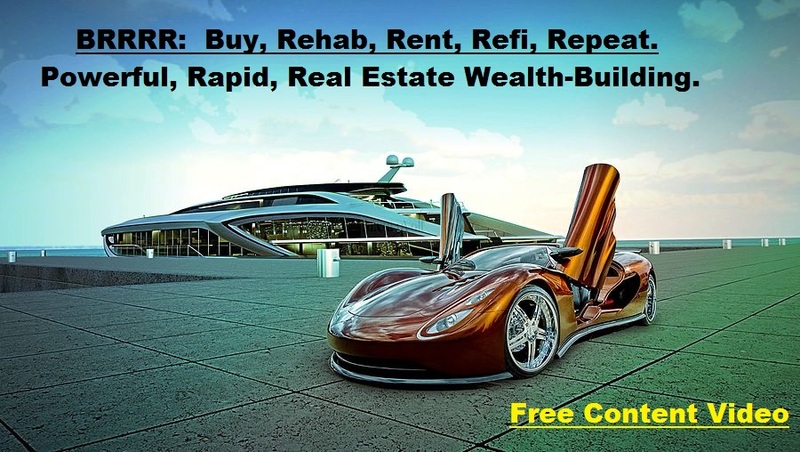 Use in your business instead of paying lawyers thousands of dollars to create from scratch! 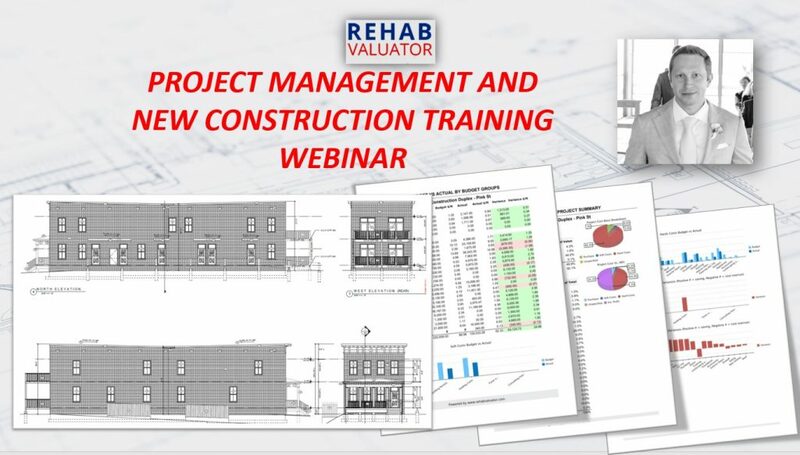 Additional dynamic project management functionality is being built out to make managing your rehabs seamless! Create, print, and email detailed scope of work sheets to contractors, then enter bids as you get them. 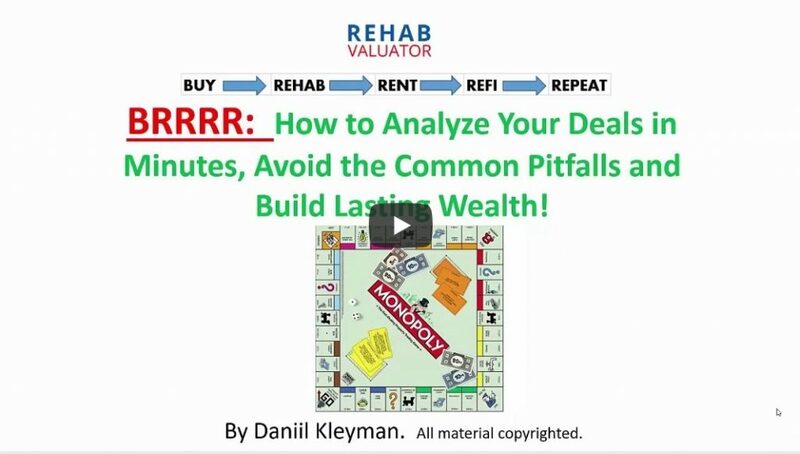 Easily present detailed rehab budgets to buyers, partners or lenders. 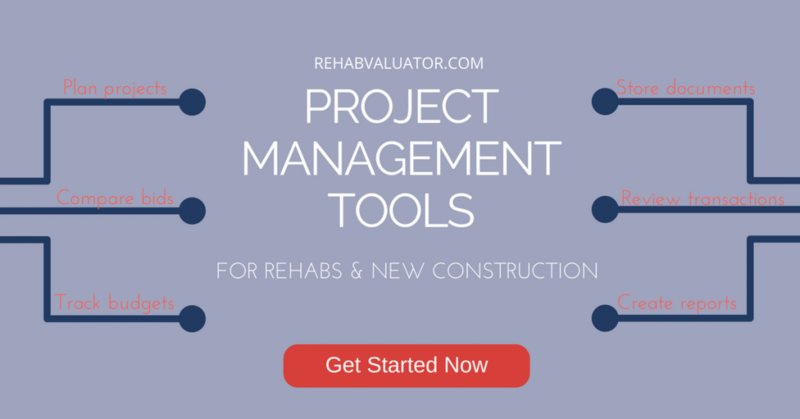 Lay out your own projects prior to doing the rehab. Build rock-solid credibility with lenders. Full funding proposal for your deal created in minutes! Send to lenders, and get your deals funded! Show your lenders “what’s in it for them”! Instantly build credibility with buyers, even if you’re new, by presenting all relevant information about your deal in one place! Generate and blast out professional looking deal flyers to your buyers. Sell your deals quicker and for more $$$! 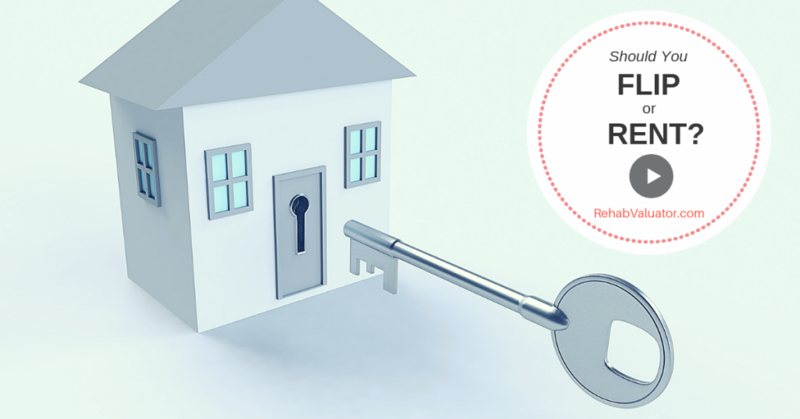 Know if a deal will make for a good rental in minutes! Know what you’ll make on a flip instantly, evaluate different financing options, and make smarter decisions, quicker! Save time, weed out bad deals instantly and price deals correctly for your buyers! Know what to pay instantly for any deal and never overpay again!